People are fundamentally wired to notice what is broken, whether it’s my grandmother Nana’s vase (sorry! ), or health care systems. So when we notice a problem, it tends to become the primary focus of our attention. But when examining ineffective systems to achieve optimal impact, it often makes sense to take the opposite approach. I first read about the concept of finding “bright spots” in the book, “Switch: How to Change When Change is Hard” by Dan and Chip Heath. Instead of emphasizing what isn’t working and needs to be fixed, they write, ask what IS working and how it can be replicated. What can we learn from proven models of innovative health care delivery – models that provide quality care with limited infrastructure at a fraction of the standard cost? How can we accelerate these models? Our core mission is to support innovators in eliminating health care inequities by increasing access to health care around the world. Two years after our founding, IPIHD, together with our supporters and innovators, has been part of the successful journeys of health care innovators like Jacaranda, Penda Health, LifeSpring, SalaUno, One Family Health, Aprofe, and Changamka. Through four core programs, IPIHD works to accelerate existing successful innovations, resulting in movement toward scaling and replication of the model, lightening the burden on health systems, understanding and addressing regulatory and policy barriers to growing innovation, and creating opportunities for “reverse innovation,” or lessons learned from the developing world applied to developed countries. 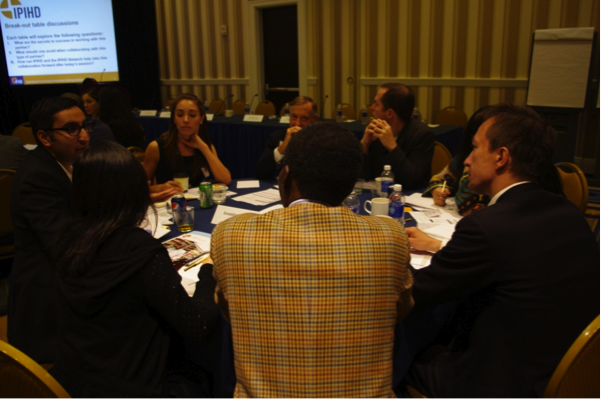 In addition to connecting innovators to industry leaders, IPIHD enables mentoring support valued at the equivalent of $10,000 per year, and the opportunity to network directly with other leading innovators, policy makers, potential investors, and health system leaders at the IPIHD Annual Forum or virtually through peer learning groups or tailored online platforms. IPIHD has also facilitated $300,000 of investment in two IPIHD innovators based in Africa, and created opportunities for innovators such as SalaUno (which provides eye care in Mexico) to learn from the hugely successful Aravind eye care model in India. Our programs are free to health care innovators. Though IPIHD cannot guarantee that all innovators will receive the same opportunities, which vary based on many factors, joining the network is a key step in being considered for this level of support. We are looking for more “bright spots” to light up our network. Do you know a health care innovation that is established and seeking to grow and expand? Please share the link to this opportunity. Innovators who meet the criteria can learn more and apply here. IPIHD evaluates applications for the network and selects new innovators twice per year, with the next selection in June, so applying as soon as possible is recommended. In particular, we’re interested in expanding our geographical reach to include innovations from China, South-East Asia, and Latin America. Eleni Vlachos is the engagement project manager for the International Partnership for Innovative Healthcare Delivery. She can be reached via email at eleni.vlachos@duke.edu and you can learn more about the innovators involved here.